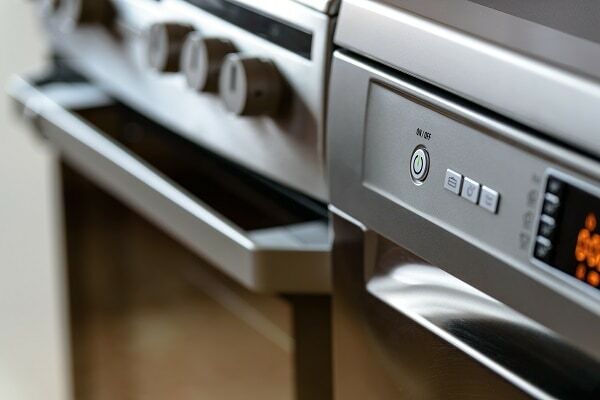 You may think your oven not heating means a new appliance is needed, but that’s not necessarily the case. If you’re comfortable playing handyman for a minute, you can try to identify the reason why your oven won’t heat and repair the issue yourself. If not, it’s always a good idea to do some investigating to be well-informed when the service technician discusses your appliance with you. Why Is Your Oven Not Heating? Let’s take a look at some likely culprits to your oven not heating. We’ll shed light on what items are, what can go wrong with them, and how to begin diagnosing the problem. If you discover your oven won’t heat, check to see if it’s at least turning on. If your oven has no sign of life whatsoever, check to see if you can turn it on at all. If there is no incoming power, inspect the power cord and outlet for visible damage. If you see no visible damage, use a multimeter to test the outlet for sufficient and continuous voltage. If incoming power is not the issue, then continue the investigation. The bake element is the heating element at the bottom of the oven. This heating element is sometimes damaged over time, especially if exposed to cooking particles settling on the element itself or damage during cleaning. If this heating element is faulty, your oven either won’t heat properly or not at all. When you find your oven not heating, the bake element is a common culprit. When the bake element is working properly, it glows red hot. Inspect the bake element for visible damage, such as blisters or cracks. If there is no visible damage, then check for active heating. Turn the oven on for a minute then shut it off. Determine if the bake element shows an indication that it is heating properly by glowing red. If you see visible damage to the bake element or if it doesn’t show signs of heating, it should be replaced. The most common cause of an oven not heating is a defective igniter. 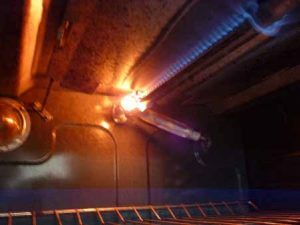 The igniter on a gas range draws electrical current through the oven safety valve and also ignites the gas inside the burner once hot enough. A weak igniter will fail to open the safety valve correctly which prevents the gas from burning. First, observe the igniter when the oven is on. If the igniter is taking more than 90 seconds to ignite the gas flame, the igniter is probably defective. As an added measure, use a multimeter to check for continuity. If there is no continuity or the igniter is slow to ignite the gas, the igniter is defective and needs replacement. Another possible cause of an oven not heating is a blown thermal fuse. The thermal fuse trips to shut off power to the oven. If the fuse is blown, the oven won’t heat at all. Although this is not terribly common, check the thermal fuse for continuity and if it fails, replace the fuse. If you’ve tried your hand at diagnosing causes for your oven and are still stumped, hire a professional service technician to take over. They have the tools, training, and experience to inspect your appliance, diagnose the issue, and repair the problem. Contact your local Greenville Appliance Repair expert today!